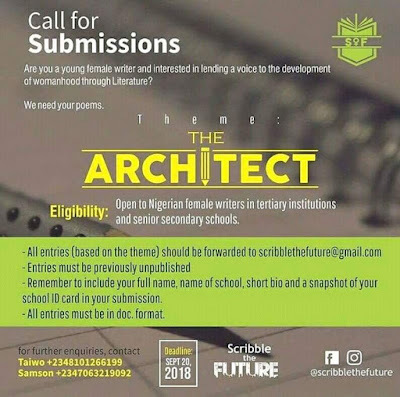 Are you a young female writer and interested in lending a voice to the development of womanhood through literature? 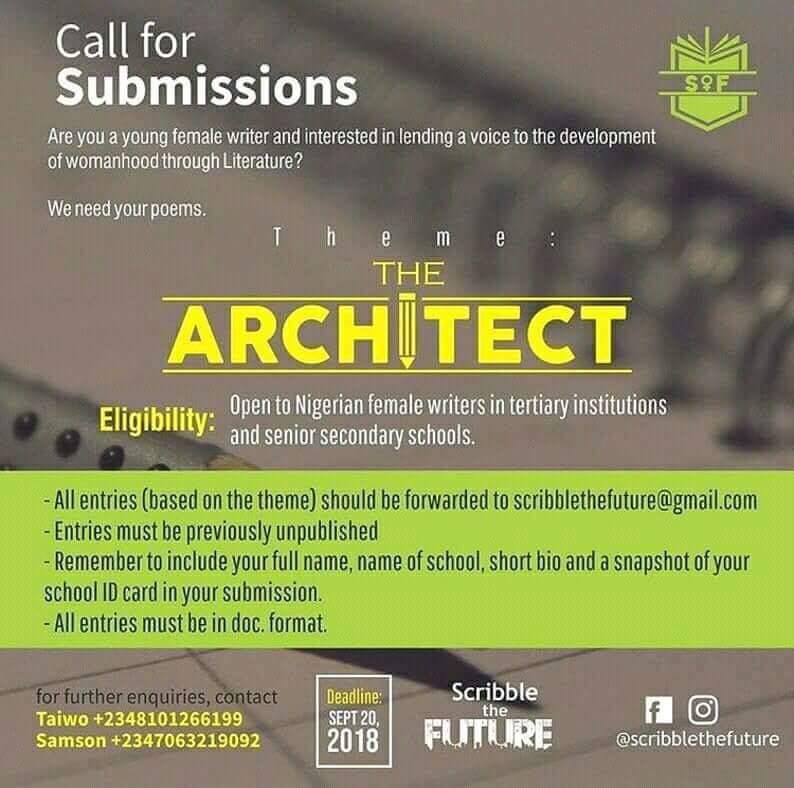 Open to Nigerian female writers in tertiary institution and senior secondary schools. Remember to include your full name, name of school, short bio and a snapshot of your school ID Card in your submission. All entries must be in doc. format.